Severa Tafoya was a sister of Van Gutierrez and her children included Angela Baca, Tonita Tafoya and, Lydia Tafoya. Other direct descendants include Paul Speckled Rock, Ray Tafoya, Tina Garcia, Greg Garcia, Robert Cleto Nichols, Jennifer Moquino and Jason Garcia. 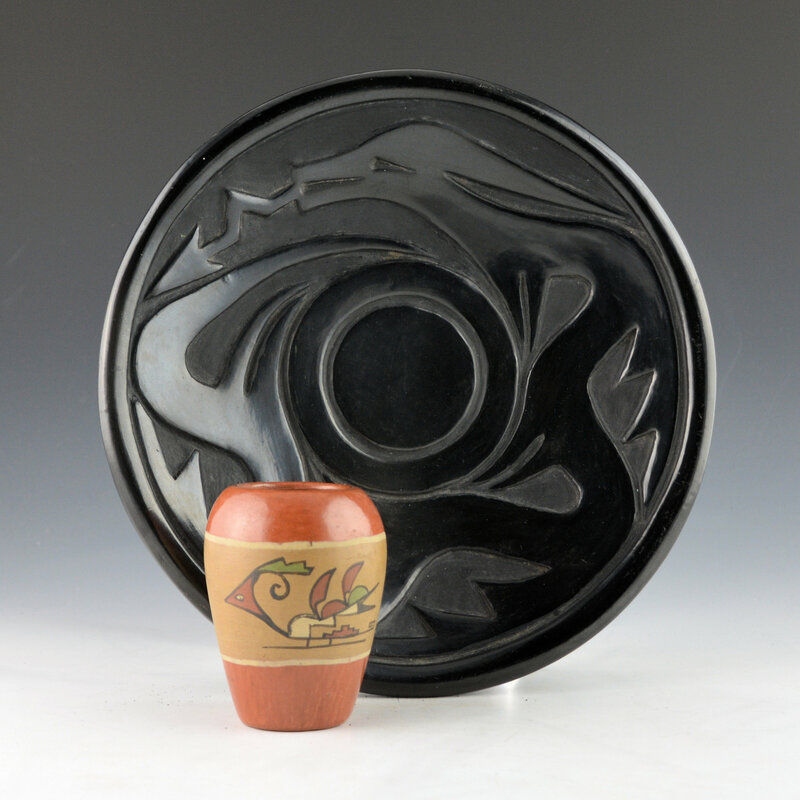 She was known for her polychrome and carved pottery along with her more traditional shapes and designs. 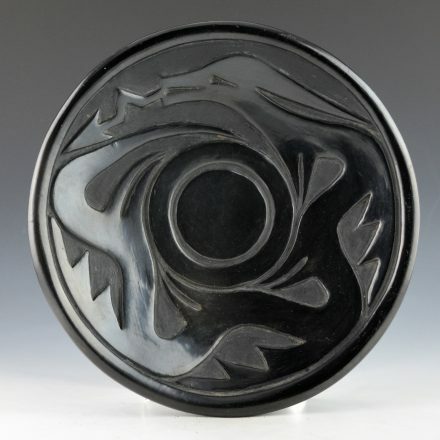 This plate is one of her iconic designs, with a carved avanyu encircling the piece. Her style of avanyu is immediately recognizable with the elongated head and horn. 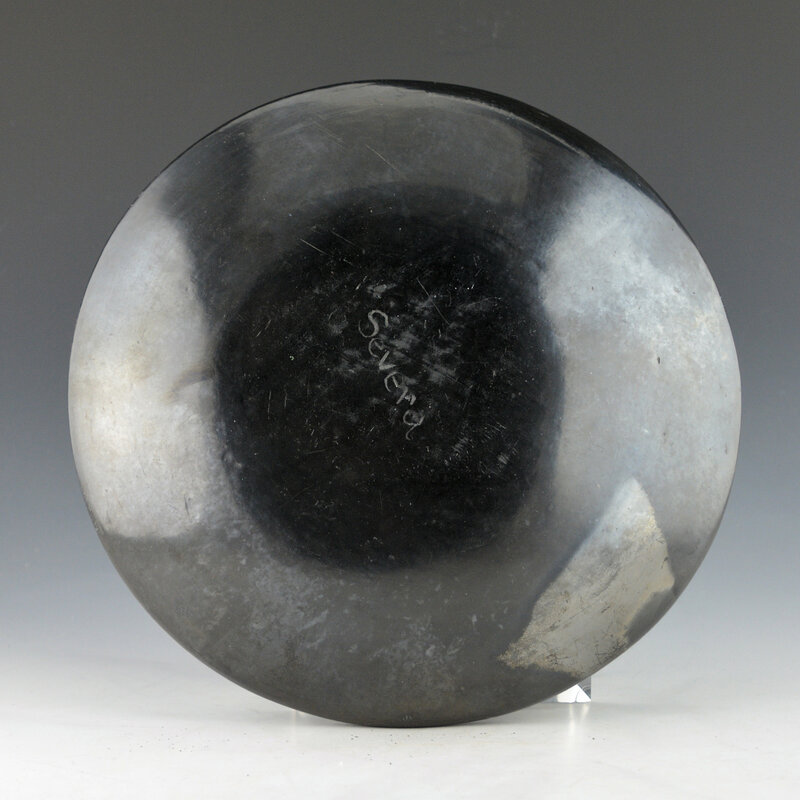 The piece is fully polished on the front and back. On the back note the area where it has almost a metallic appearance from the firing. The plate is signed on the back in the clay, “Severa”. It is in very good condition with no chips, cracks, restoration or repair. There are some light surface scratches.